Than Story-brand Pads, you'll be pleasantly surprised! 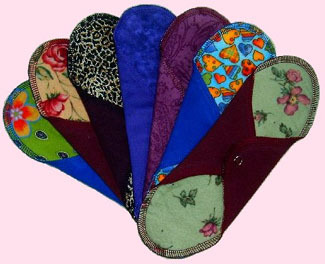 All 100% Cotton Super-soft Cloth pads in 3 sizes to meet all your cloth pad needs. Pads are made with a combination of cotton knit, cotton flannel and French cotton terry. Individually wrapped in celophane packaging. These multi-purpose tote bags are GREAT!! !